KAMPALA – MTN Uganda will be punished if it is found guilty of breaching operational guidelines, reports Daily Monitor. 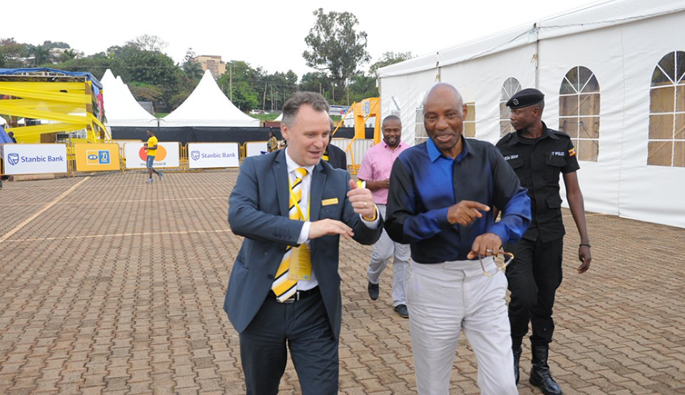 Godfrey Mutabazi, the Uganda Communications Commission (UCC) executive director, said it and security agencies are investigating to ascertain whether MTN breached operational guidelines. He said there are many measures to punish breaches under the law. The government has deported four MTN senior managers including chief executive officer Wim Vanhelleputte for alleged espionage. Under the UCC Act 2013, the commission can suspend or revoke a licence of an operator if it is found guilty of serious and repeated breach of set conditions. The UCC can also suspend or revoke the licence of an operator that is engaged in fraud, intentional misinterpretation or supporting treasonable activities under the Penal Code Act. Although details of the deportations are still scanty, Elsa Mussolini, the former MTN mobile money manager, said she had been deported for allegedly inciting violence and funding politicians such as Kyandondo East MP Robert Kyagulanyi to protest against the social media and mobile money tax. Mutabazi said the deportations had, for now, had no impact on the telecom sector, given that MTN continues to hold its licence which was recently renewed for three months. MTN’s 20-year licence expired in October last year and has since been twice partially renewed. UCC has been accusing MTN Uganda of cheating their clients through bogus telephone transactions where clients lose huge sums of money in double charges, unsolicited messages among others. The firm recently is on the spotlight on several allegations of violating contracts, anti-competition, under-declaring revenue, withholding payments to companies and cheating customers. The regulator has vowed to make sure that the telecom giants behave if it breached guidelines.